If you are a big group of friends or are travelling with extended family, then this is a good bet. 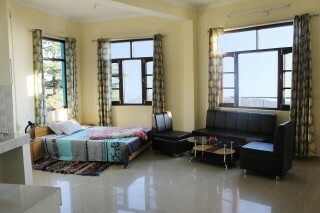 With ten bedrooms that can accommodate up to twenty people, a stay here is not too harsh on the pocket. 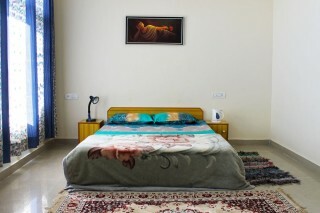 The bedrooms are all well-furnished, simple, and comfortable. 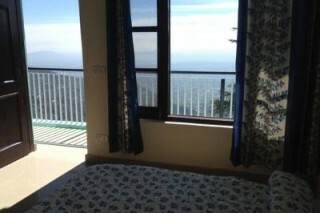 All of them open out into a balcony that offers lovely mountain views. 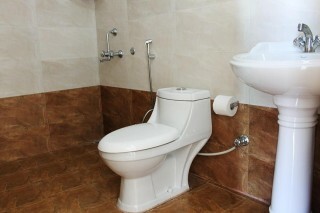 The bathrooms are well tiled and modern. The hosts organize meals on order and also arrange yoga classes on request. 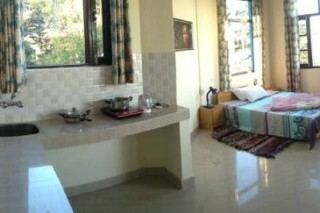 It offers cozy and comfortable accommodation to our guests, provides homely atmosphere, hygienic food and complete care. Our rooms are clean and equipped with all facilities. We offer assistance for Day hikes and Treks to the mountains of Dharamshala and at Tours to some like a Manali, Shimla, Chamba valley special place like Bharmoor. we have Daily Yoga classes, Meditation, Reiki, Massage etc. 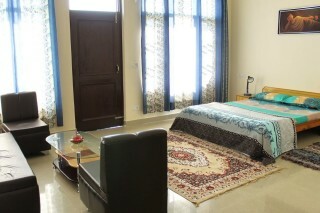 Rooms at House are extremely clean and spacious. We pride ourselves on offering the most comfortable stay possible, with friendly service and a warm welcome, you will want to stay longer than you had planned. Although located just a few minutes walk from the main market, shops and restaurants you will be forgiven for thinking that you are a million miles away from anything. Encompassing a style and elegance that blend our beautiful boutique property discreetly in to the surrounding environments where families of monkeys are often seen in the surrounding trees on the mountainside next to us.Most places can easily be reached by foot within a few minutes . Access in and out o town is frequent and hassle free. Any help with travel that may be needed will be willingly provided.